*Dates are tentative and could change. Please check back for updates. ​Sunday, April 14th and Monday, April 15th on Backdoor Theatre's Main Stage at 6:30 PM. When an overworked mother and her teenage daughter magically swap bodies, they have just one day to put things right again. By spending a day in each other's shoes, Katherine and Ellie come to appreciate one another's struggles, learn self-acceptance, and realize the immeasurable love and mutual respect that bond a mother and daughter. ELLIE BLAKE – Teenager, smart, funny, rumpled and a bit sloppy - uses humor and brash behavior to hide her sadness of having lost her father at an early age - resentful of her mother and her upcoming marriage. KATHERINE BLAKE - Ellie’s young mother, decisive, smart, lovely, punctual - trying to keep her family and work life together as a single mom - in efforts to keep everything going well and be “perfect”. GRETCHEN – Ellie’s best friend - hacker-geek, self-described nerd. MS MYERS - gym teacher, extremely intense! ENSEMBLE - These performers will be on stage for much of the show. Some of them will also act as younger students at the high school as well as wedding guests catering staff, vendors, etc. Ensemble will comment on action and facilitate some of the transitions in scenes. The role of FLETCHER BLAKE will be chosen from those students currently enrolled in our Elementary Theatre School class. This is at the directors discretion. What is the overall audition process like? The process is different for straight plays versus musicals and is dependent on who is directing the show. All auditions include an introduction to the director and committee members, and all participants fill out an audition form. Audition lengths can vary depending on the number of people who come. Familiarize yourself with the play/musical you are auditioning for before you come to the auditions. What are Musical auditions like and how do you prepare? Musical auditions are usually made up of three parts: choreography, vocals, and scene reading (reading from the script of the show). However, some musicals do not contain choreography so this section may be omitted from the audition process. Choreography: The choreographer will teach the group a routine. You then perform it as a group. You can prepare for this portion by watching videos of other productions of the show ahead of time. This will expose you to the type of choreography you will be taught. Vocals: You're encouraged to bring a 16 to 32 bar (30-45 sec.) cut from a song in the style of the show. We provide an accompanist and there is a speaker available if you have tracked music. 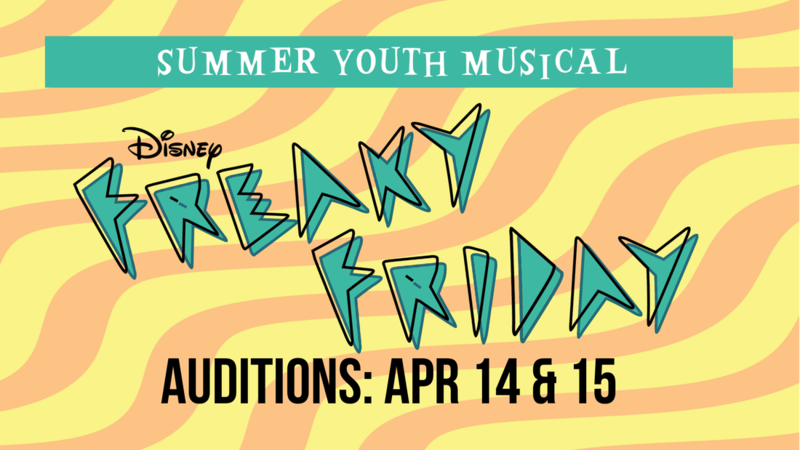 If you do not bring your own music cut, the musical director or accompanist will teach the group a portion of a song from the show. You will then be called up to perform this song individually or as a group. The best way to prepare for this is to listen to the soundtrack for the show ahead of time. Scene Readings: Portions from the script will be distributed to participants, you normally receive lines for the part you are auditioning for, sometimes the director will hand you different part to ascertain your range as an actor. The best way to prepare for this is to read the script ahead of time and familiarize yourself with the character you wish to portray. What are Straight Play auditions like and how do you prepare? Straight play auditions consist of scene readings. Occasionally, a play can demand a certain type of movement so there may be a portion of the evening in which the director will work with you to see how well you can move and adapt to the needs of the script. Scene Readings: Portions from the script will be distributed to participants, you normally receive lines for the part you are auditioning. Sometimes the director will hand you different part to ascertain your range as an actor. The best way to prepare for this is to read the script ahead of time and familiarize yourself with the character you wish to portray. A deliberative body called the casting committee. The committee is made up of the director, choreographer (if applicable), and guests who are experienced in theatre arts. The casting committee acts as a sounding board and another set of eyes and ears for the director who makes the final decisions. How do you make your decisions on who to cast? Availability- Rehearsal is incredibly important. If your schedule inhibits you from attending rehearsals you may not be cast. This will be clarified at the beginning of auditions, and included on your audition form. Talent- Vocal ability and acting. Physicality- Some roles require specific looks, accents, age, etc. Some shows require specific dance choreography/movement. Chemistry- When casting, the committee is required to look at the cast as a whole and see how and IF you fit into that puzzle. For example, You may be right for Role A & B, but if you are cast as Role A, there may not be someone for Role B. You may be cast as Role B if there is a second option for Role A. How do you find out why you were cast, or not cast, for the part you wanted? Backdoor Theatre is a teaching theatre. We encourage all participants to reach out and ask this question. We will provide constructive feedback on how you can improve your skills. Please email us by using the form on this page. Do you need to have experience to try out? Not at all, we will teach you what you need to know. However, you are expected to be familiar with the show and material. Please email carter_wallace@sbcglobal.net to receive a script for the show. If you are trying out for a musical, familiarize yourself with the songs. Whatever your comfortable in and closed toe shoes. If your audition involves dancing, bring appropriate footwear and wear clothing you can move around in. What do I do if I don't get cast? There are several reasons you might not get cast. Please reach out and ask for constructive feedback. Come to more auditions, and don't give up! Being a part of a Backdoor production is an experience you will never forget! Does Backdoor Theatre precast shows? Some parts may be precast, this will be listed in character descriptions and that part will not be available during auditions. Subscribe to our Facebook Events and get notified immediately about all of our events, including auditions and shows!